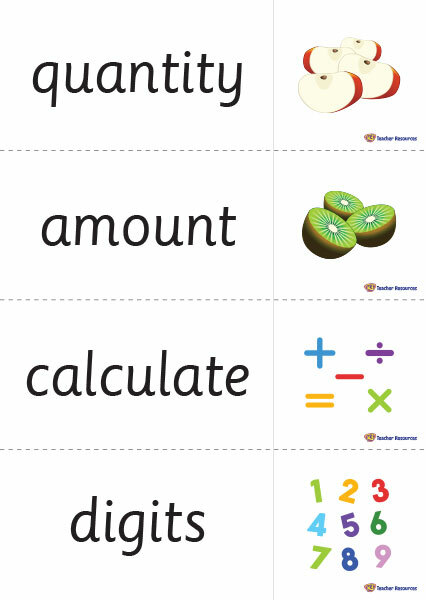 92 Printable Maths Vocabulary Word Cards covering a range of topics in Mathematics. Ideal for literacy and maths reference and activities, as well as classroom bulletin boards and displays. Print cut and laminate each maths vocabulary card. Use the cards as part of your numeracy display or a classroom activity. As a class, brainstorm more words that could be added to the list. Use the cards as a phonics opportunity for different types of ‘word play‘.